Most men think they have marriage down by the time they get married then reality hits. Sometimes men are a little slow (knowing this because I am a man) at understanding what makes our wives tick. Sometimes, us men (I know this is probably not grammatically correct) need help in the area of marriage. 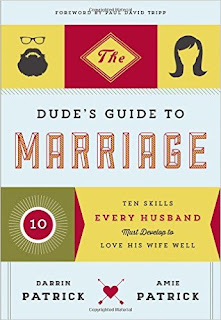 Two parts to this book I find beneficial in each chapter are the insights shared by Darrin's wife Amie, and guided questions which appear at the end of each chapter. 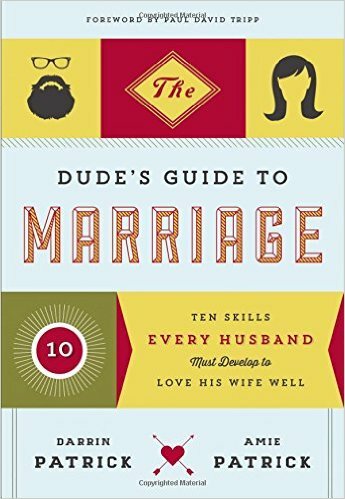 Since this is a book about marriage, it is appropriate for Amie to have an opportunity to speak on each subject. Her comments enrich and deepen the treatment of each topic in the book. The guided questions cover the foundations for each chapter and if used as they are supposed to be (asked to the wife by the husband who is reading the book), the questions can provide the opportunity for some good, honest discussions. I have used the questions with my wife, and as a husband, anytime we can receive helpful feedback from our own wives to get better, it's a good thing.